Sunday’s premiere of Dancing With the Stars waltzed off with all the core commercial demographics while TVNZ 1’s bold new Kiwi drama The Bad Seed kicked off strongly. From 7.00-8.30, DWTS averaged 10.8% of Three’s chief 25-54 demo (36.1% share), open-ing with 8.1%, closing with 11.5% and peaking with 12.1%. It was also hugely popular in the other key demos, averaging 9.2% of 18-49s, 7.6% of 18-39s and 10.7% of household shoppers with kids. 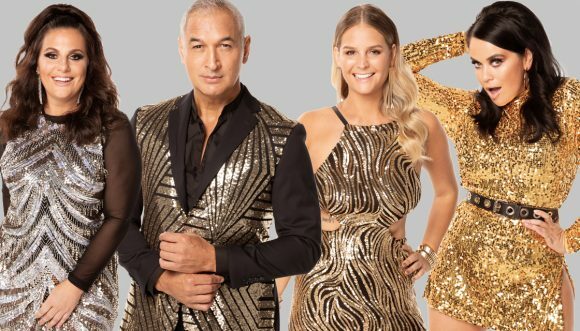 DWTS faced stronger competition from TVNZ 1’s Hyundai Country Calendar and Sunday than it did from TVNZ 2’s My Kitchen Rules special. The latter averaged 3.1% of 25-54s, 2.6% of 18-49s, 1.9% of 18-39s and 3.8% of HHS/k. DWTS’ appeal helped lead-out The Mummy to win its slot in all the major demos except HHS/k, where the second half was out-rated by TVNZ 2’s repeat of Maleficent. The network movie premiere averaged 4.5% of 25-54s, although viewership more than halved in the second hour. The first hour faced The Bad Seed, which averaged 4.2% of 25-54s. It opened with 5.2% of 25-54s and closed with 2.7%; the decline was similar in the other demos. While it was competitive with The Mummy from 8.30-9.15, the exodus in the final quarter-hour will have TVNZ 1 programmers on the edge of their seats tonight wondering if enough viewers will return over the next four nights to justify the unprecedented stripping of a Kiwi drama. It’s exciting to think that local audiences finally have a show from here with values and virtues which feel connected to the international television zeitgeist. The Bad Seed is not the finished product by any means, but it begs for a second season or related project, one which allows its team to evolve and the sinister power structure it covers to grow with them. The double-billing of DWTS and The Mummy meant Three blitzed the competition in all the core demos, with shares of 28.0% – 32.3% for the night. They capped Three’s 10th winning week in a row in the 25-54 demo, which was boosted by the season finale of Married at First Sight Australia averaging 211,700 25-54 year-olds across Three and Three +1 (38% share), making it the highest rating episode of the season and the most popular show ever to stream on ThreeNow. “Live stream views increased 45% year-on-year while big screen viewing via platforms such as Freeview, Chromecast, AppleTV and VodafoneTV more than doubled compared to the previous season,” MediaWorks reports.